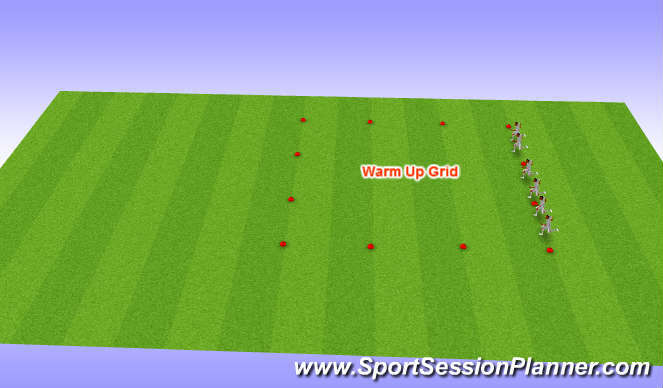 Challenge - Warm up the muscles before Technical & tactical session. Physical - Jogging, Low skips, high skips , lunges, squats, jumping, open/close the gate, kick outs, heels to bum. 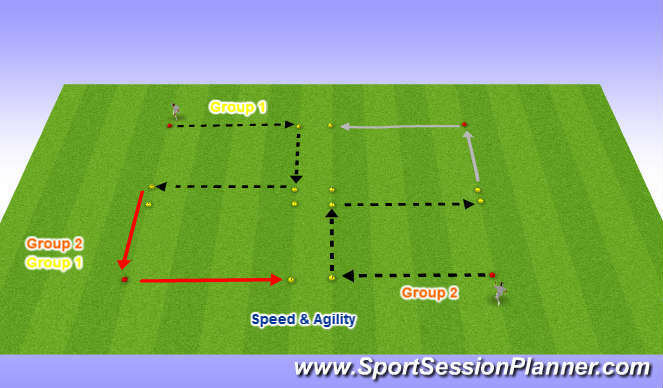 Speed & Agility - Sprint forward, Jockey across, jogg backwards and then across. Repeat 5 times, round the cones. Teaching Points - Dont not click heels togetherwhen jockeying, get low on the front foot when jockeying, push off the back foot when sprinting out. 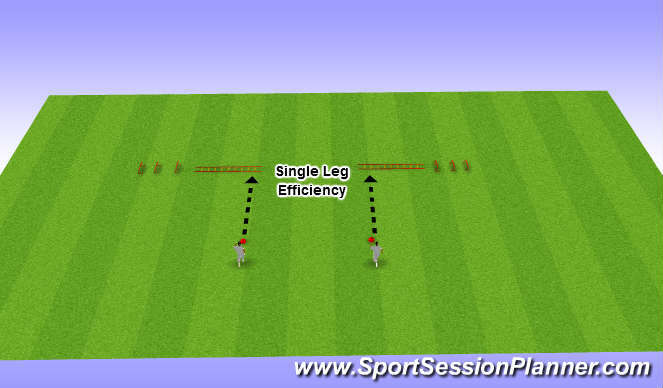 Single Leg Efficiency - Sprint to the Ladders, hop through ladders on one foot, then hop hurdles with opposite foot. Repeat 5 times, Alternating feet. Teaching Points - Straight back,soft bend.